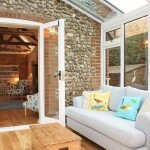 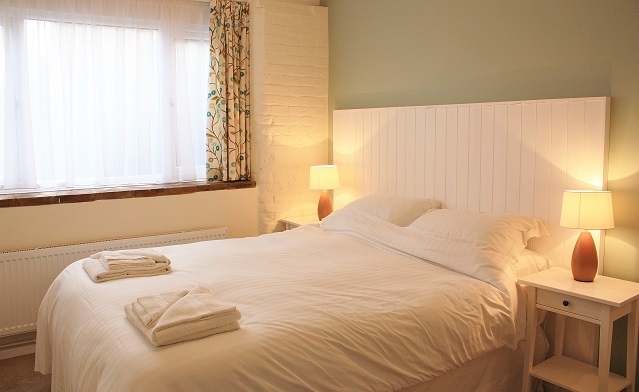 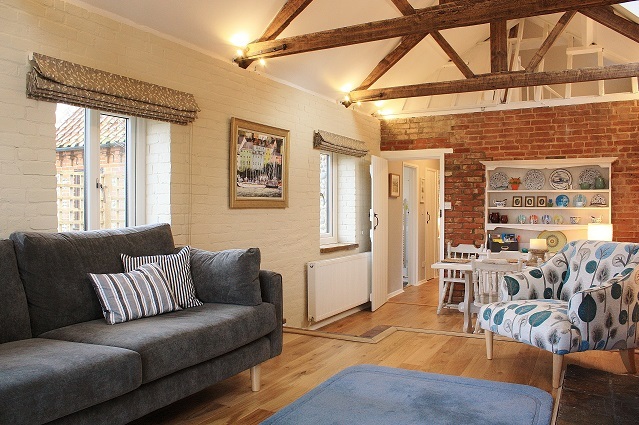 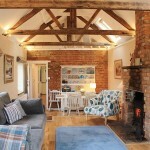 Turnstone Barn is a wonderful, newly converted barn in a superb location close to the beach in the coastal village of Weybourne just a few miles east of Blakeney. 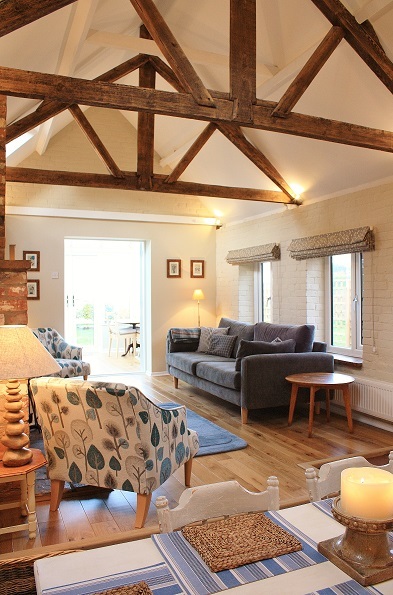 With fantastic views of the beach and sea from numerous rooms including the conservatory and the private enclosed garden, this fantastic barn conversion offers spacious, modern living for up to 5 guests. 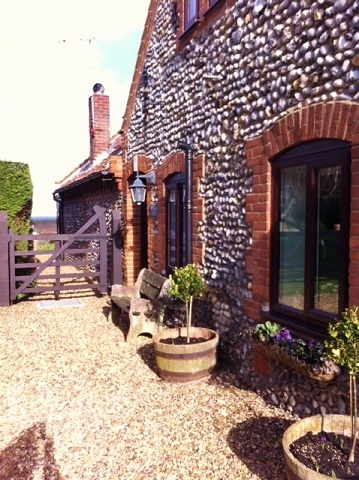 Weybourne is a short drive to the delightful market town of Holt, and other lovely conservation villages with their gastro-pubs and restaurants and also good golf courses. 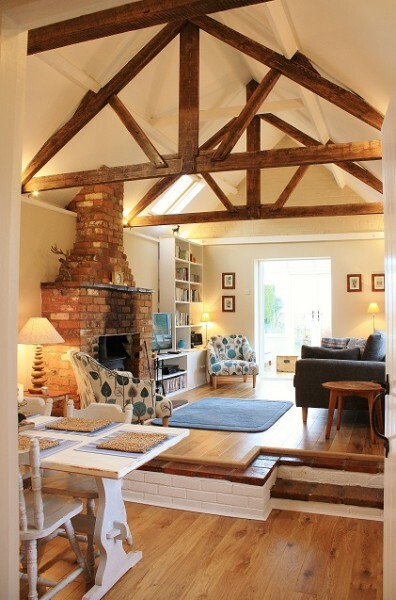 The main living area in Turnstone Barn is opened up to expose the spectacular vaulted ceiling. 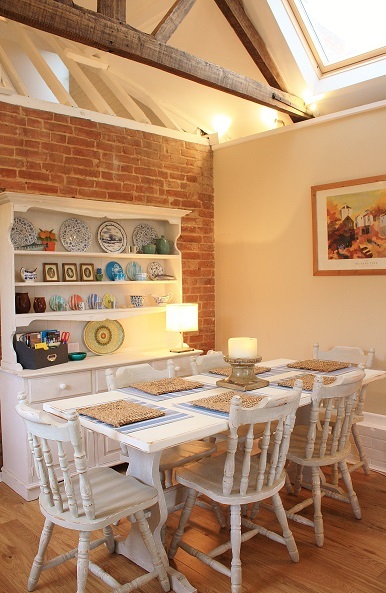 This room has a good sized dining area with a painted farmhouse style table that will comfortably seat six in front of a white painted dresser full of striking ornaments and a box full of handy local information. 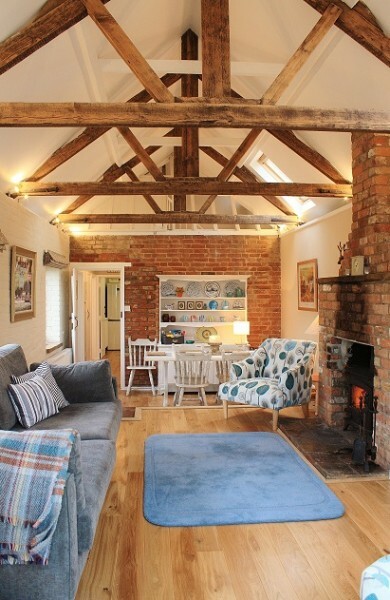 Up two small steps from the dining area is the cosy and comfortable lounge area complete with its attractive log-burning stove perfect for cosy, quiet winter nights in front of the fire. 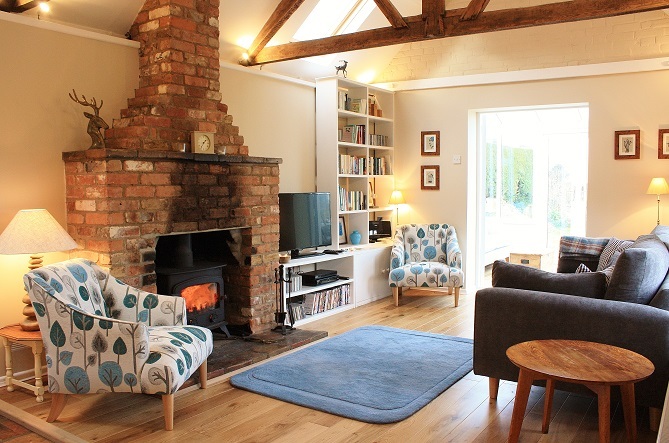 This area has a lovely squishy three seat sofa and two comfortable, contemporary armchairs. 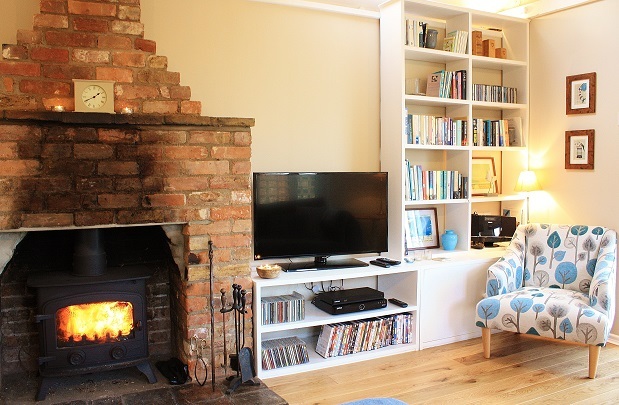 There is an ipod dock, a good size LED TV with FreeSat and DVD player as well as a selection of DVD’s, board games and books. 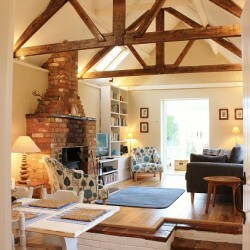 Free WIFI is also available for guests use. 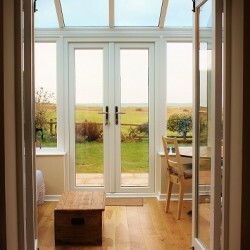 Glazed double doors open from the living area into the wonderful conservatory with its beautiful panoramic sea views. 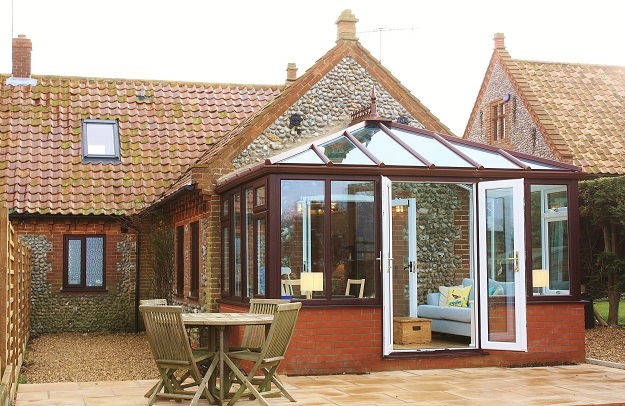 This conservatory has another comfy sofa as well as a table with seating for four… perfect for enjoying the spectacular views over breakfast! 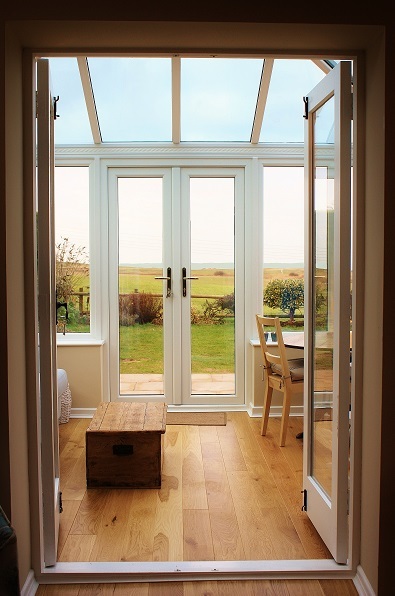 Another set of double doors open out into the good sized, enclosed garden which backs on to picturesque fields and also enjoys wonderful sea views. 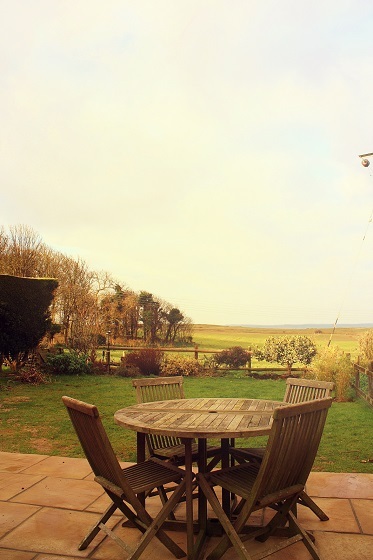 There is a patio area with an table and chairs and a BBQ so one can enjoy summers evenings eating and drinking ‘al fresco’ whilst taking in that magnificent view. 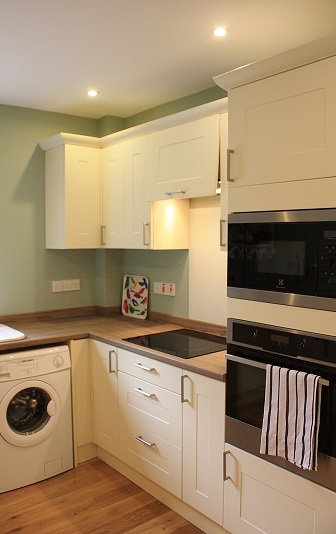 Back inside and there is a good sized newly fitted kitchen with all of the mod cons one would expect including a brushed stainless steel electric oven with built in ‘combi’ micro sitting neatly above, a halogen hob, integrated slim-line dishwasher and washing machine. 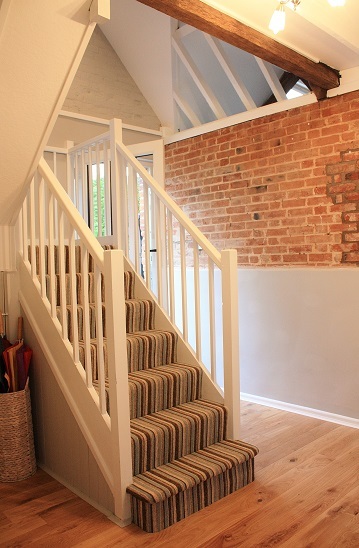 In the large hallway, cleverly hidden in the cupboard under the stairs is the tumble dryer. 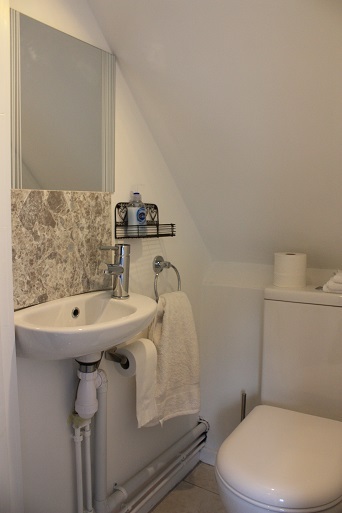 Also on the spacious ground floor is the family bathroom with drencher shower above the bath, and a light and airy zip and link bedroom with a bed that can either be made up as twins or as a king sized double (If you have a preference on the set up of this bed please give at least 2 weeks’ notice). 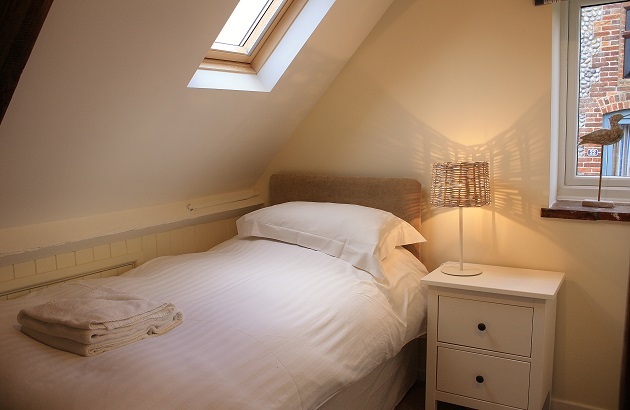 Up the stairs is the king size master bedroom which again has spectacular views over the garden and out to sea. 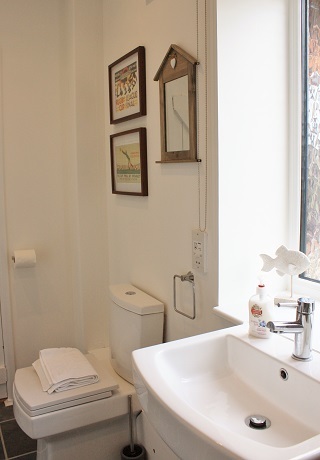 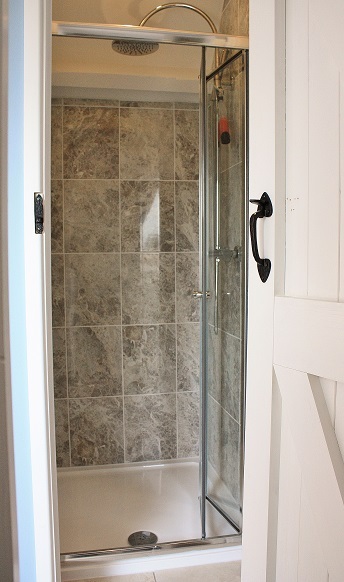 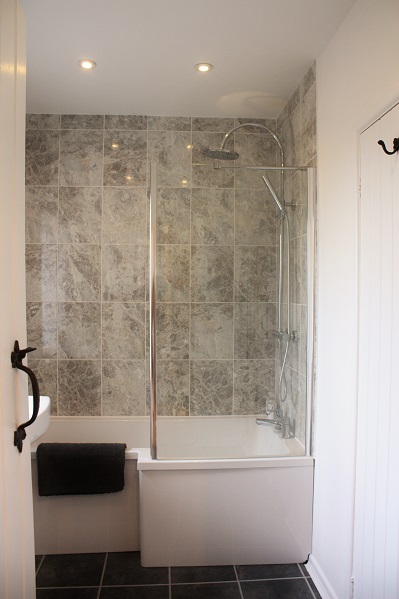 The owners have cleverly managed to add a walk-in rain shower and separate room with w.c. and basin to give the bedroom a self-contained en-suite facility. 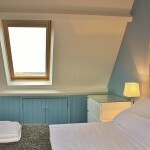 There is also the small but comfortable single bedroom on the first floor. 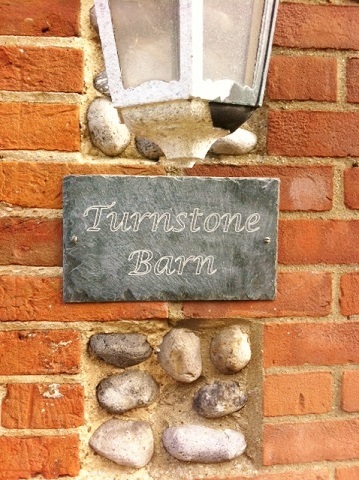 Turnstone Barn is a stylishly appointed and yet practical property making it perfect for family holidays on the seaside. 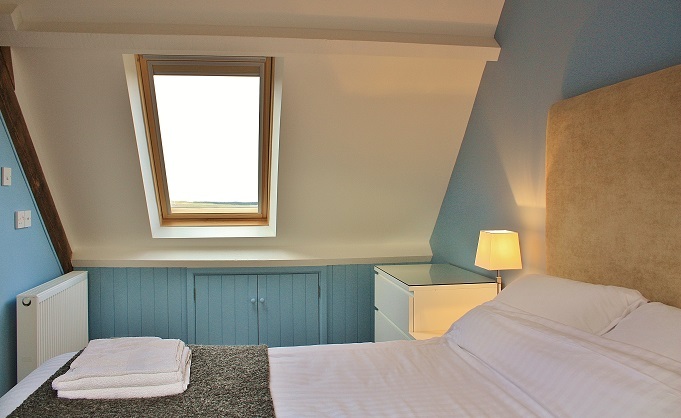 It also has bags of charm and character as well as that fantastic sea view making in an ideal setting for romantic getaways. 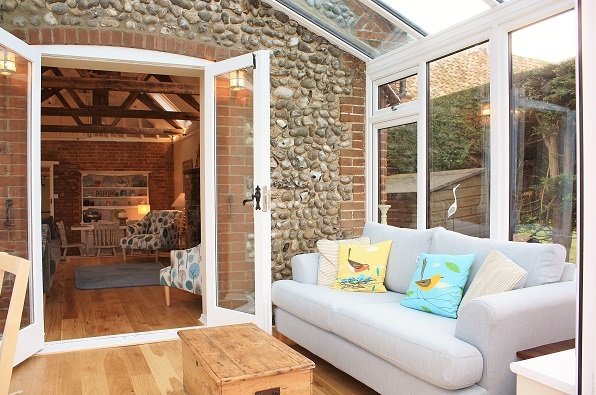 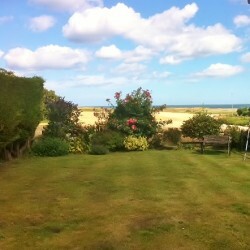 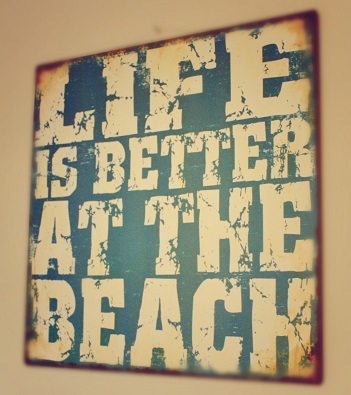 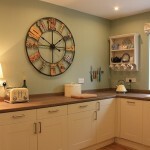 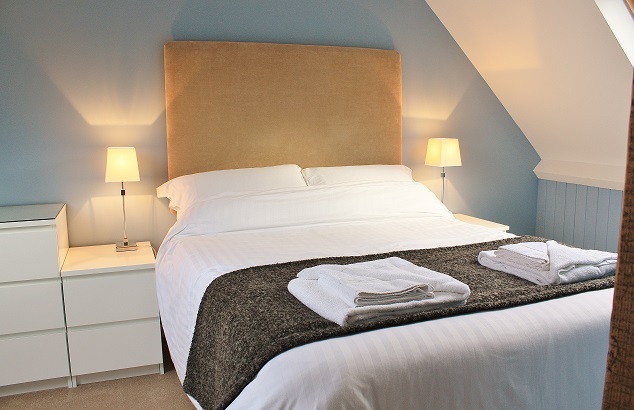 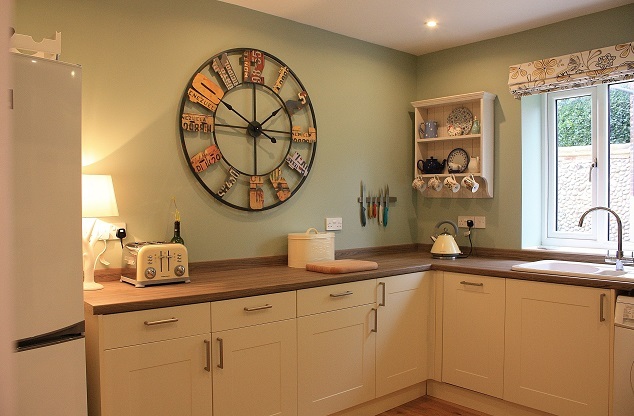 Being within easy walking distance of the villages amenities including pubs, cafes, art galleries and the fantastic village shop it really does offer almost everything one could want from a self catering holiday home next to the sea!